Another new attack on Facebook users with Zeus Bot comes in action. 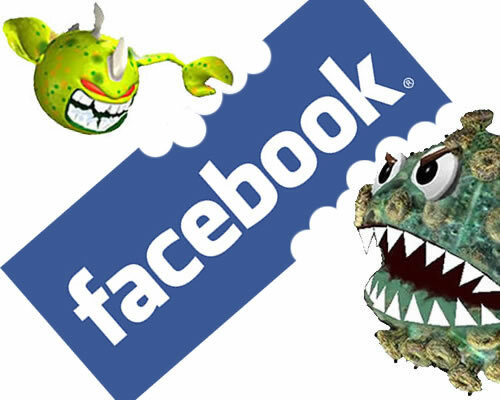 The researchers of Danish security firm CSIS, has spotted a worm spreading within the Facebook platform. A new worm has popped up on Facebook, using apparently stolen user credentials to log in to victims' accounts and then send out malicious links to their friends. The worm also downloads and installs a variety of malware on users' machines, including a variant of the Zeus bot. If followed, the link takes the potential victim to a page where he or she are offered what appears to be a screensaver for download. Unfortunately, it is not a JPG file, but an executable (b.exe). Once run, it drops a cocktail of malicious files onto the system, including ZeuS, a popular Trojan spyware capable of stealing user information from infected systems. The worm is also found to have anti-VM capabilities, making it useless to execute and test in a virtual environment, such as Oracle VM VirtualBox and VMWare. Zeus is a common tool in the arsenal of many attackers these days, and is used in a wide variety of attacks and campaigns now. It used to be somewhat less common, but the appearance of cracked versions of the Zeus code has made it somewhat easier for lower-level attackers to get their hands on the malware. Zeus has a range of capabilities, and specializes in stealing sensitive user data such as banking credendtials, from infected machines. "The worm carries a cocktail of malware onto your machine, including a Zbot/ZeuS variant which is a serious threat and stealing sensitive information from the infected machine," warn the researchers.The worm is hosted on a variety of domains, so the link in the malicious message may vary. Other servers are used to collect the data sent by the aforementioned malware and to serve additional malicious software. This type of thing is very rare to just send to your email without you requesting it so I would advise anyone who thinks that you may have seen an email like this to delete it and mark it as spam right away.